Shashlik is Turk/Russian type of kebab. Marinated skewered lamb, grilled to perfection, combined with grilled vegetables make this the ultimate cookout food. In a bowl, combine lamb, olive oil, lemon juice, pepper, salt, and red pepper. Allow to marinate at least 2 to 3 hours prior to cooking. 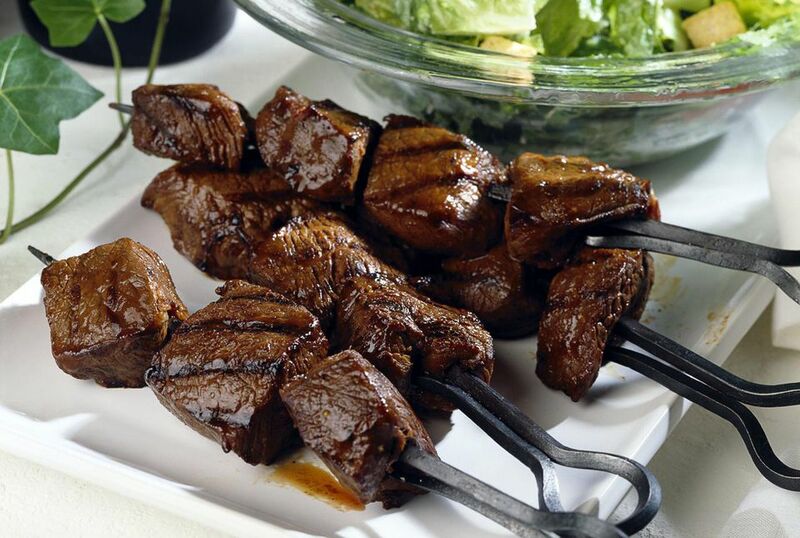 Place marinated beef on skewers (about 6 cubes per skewer). Be sure to apply a light coat of oil on the skewer prior to threading the meat. Place vegetables on separate skewers, alternating type of vegetable. The meat and veggies are cooked on different skewers because the meat will take longer to grill. Cook lamb shashlik skewers on the grill or under the broiler for 10 to 12 minutes, or until desired doneness. Turn to ensure even cooking. Grill vegetable skewers for last 5 minutes of grilling. Turn. The vegetable should be crisp, yet tender. Be careful not to overcook.